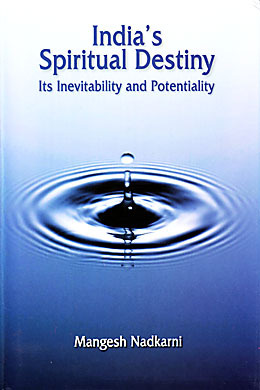 India’s Spiritual Destiny is the title of a new book by Dr Mangesh Nadkarni. Published by Sri Aurobindo Society in association with UBSPD, it is very appropriately being released on the occasion of Sri Aurobindo’s birth anniversary and India’s Independence Day. See below for more about the book. For the Darshan message card, click here. The 15th August message will be available after 6 a.m. I.S.T. on the 15th. We are also happy to announce the release of two important new volumes in the set of The Complete Works of Sri Aurobindo. These are The Life Divine – I and The Life Divine – II. Local set subscribers may pick these up as usual from our office, and other set subscribers will soon receive intimation of shipment of this ninth batch. With this the total number of volumes released so far is 25. To know more about The Complete Works of Sri Aurobindo click here. In this collection of six essays originally written as lectures for seminars and conferences, Mangesh Nadkarni examines some of the crucial problems facing India today from the spiritual perspective offered by Sri Aurobindo, who pointed out that what man is facing now is not just a social, political, economic, ecological or nuclear crisis but an evolutionary one. Man is a transitional being, and he must evolve from his current mental consciousness, which has proven incapable of solving these problems, to a higher truth-consciousness. Dr Nadkarni shows how Sri Aurobindo's vision embraces all aspects of human life, all forms of human activity, and the deepest aspirations of the human soul, finally offering man the only comprehensive solution to his problems: a radical transformation of consciousness. A small collection of prayers of the Mother.